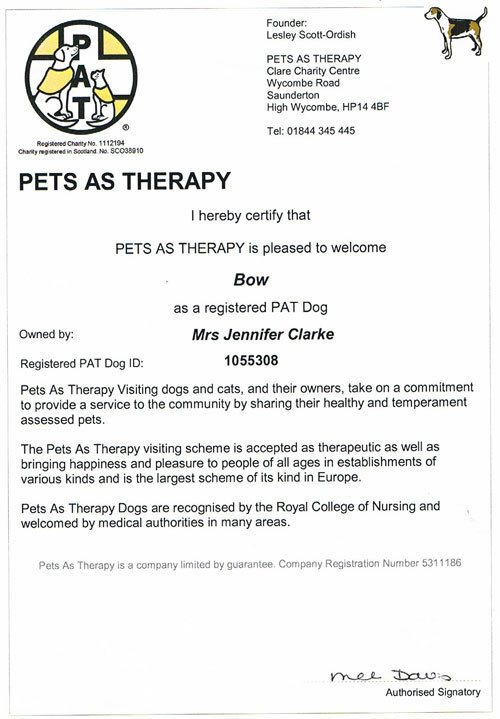 Animal Assisted Therapy can be used to benefit a child’s physical, emotional & psychological health, cognitive function & communication skills. Interaction with a dog is proven to reduce stress & anxiety & encourages confidence. 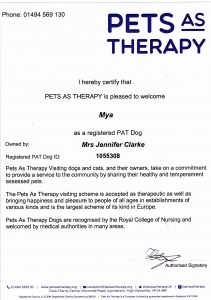 I am a qualified Teaching Assistant & Emotional Literacy Support Assistant & for 7 years I have used my dogs to successfully help children in the area with various needs including children who have Special Educational Needs, or who need a little extra special care & attention & children who have a fear or a phobia of dogs (cynophobia). 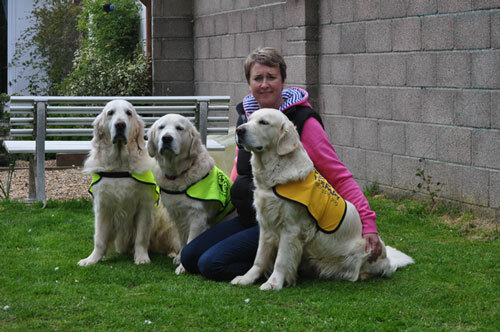 I have also used my dogs to undertake the Pets As Therapy Read 2 Dogs Scheme to help children break down barriers to learning & increase their reading & general literacy skills. Reading to dogs has been proved to help children develop literacy skills and build confidence, through both the calming effect the dogs’ presence has on children and the fact that the dog will listen to the children read without being judgmental or critical. This comforting environment helps to nurture children’s enthusiasm for reading and provides them with the confidence needed to read aloud. The success of our work has been astounding & has received commendations from Educational Practitioners & Social Workers across the area. 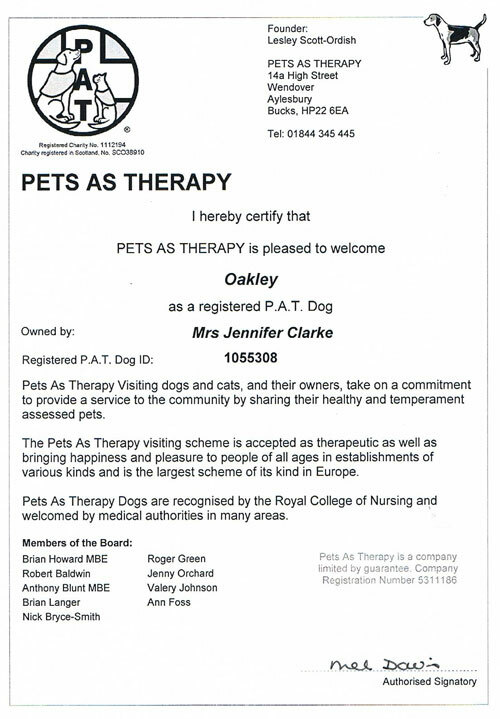 Oakley, Bow, Mya & Lily are all registered Pets As Therapy dogs & I am a trained Pets As Therapy Assessor. I am also a fully trained Teaching Assistant & Emotional Literacy Support Assistant. I am therefore able to offer this unique service to, schools, hospitals, nursing homes, colleges & universities. 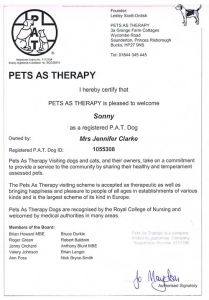 Please contact us to see how our dogs may be able to help you. “S***** has really grown in confidence since reading with Jenny. She was a red reader when she started PAT and is now able to read green books (3 book bands of progress). S***** always loves that 1:1 time that she spends reading each week and her mum is now also reading at home with her on a regular basis. Thank you to Jenny.” (Miss Beckett, Teacher).